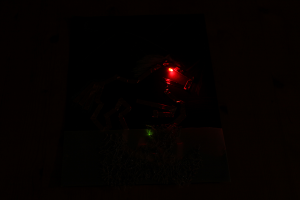 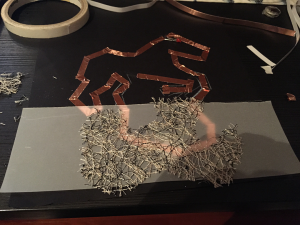 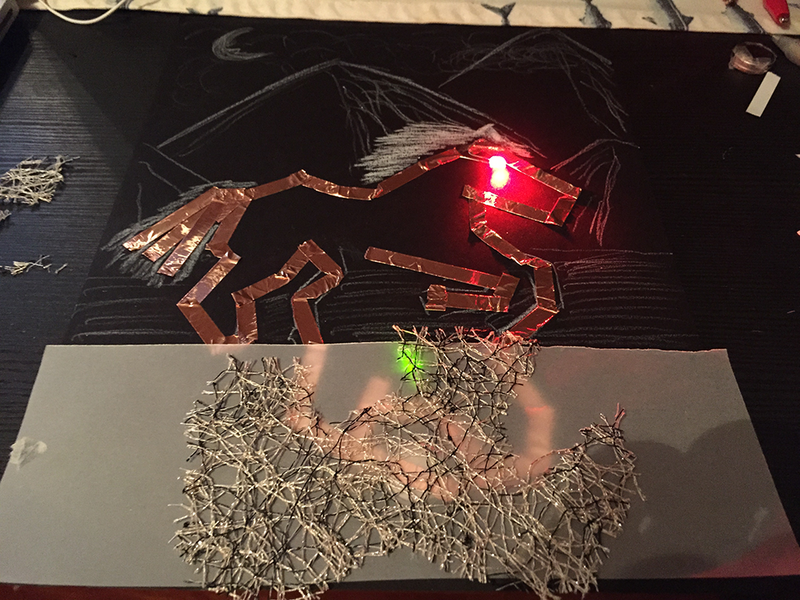 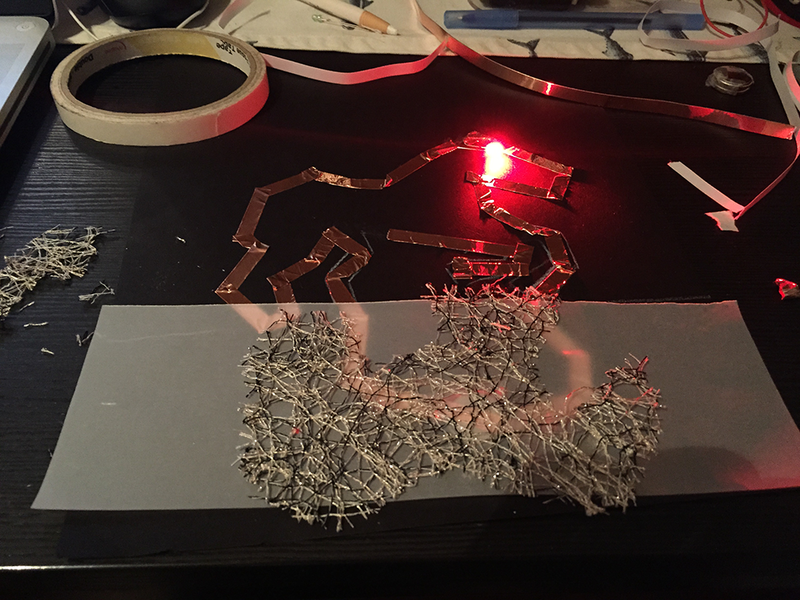 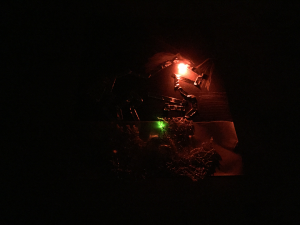 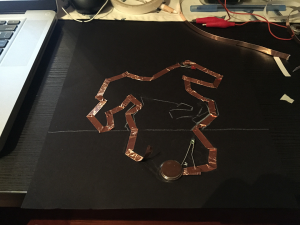 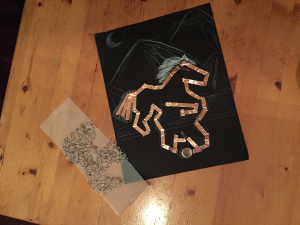 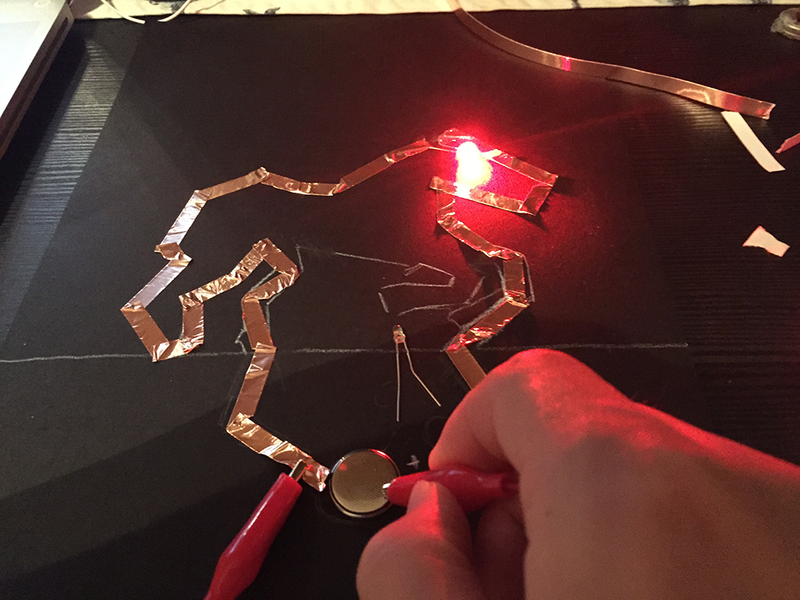 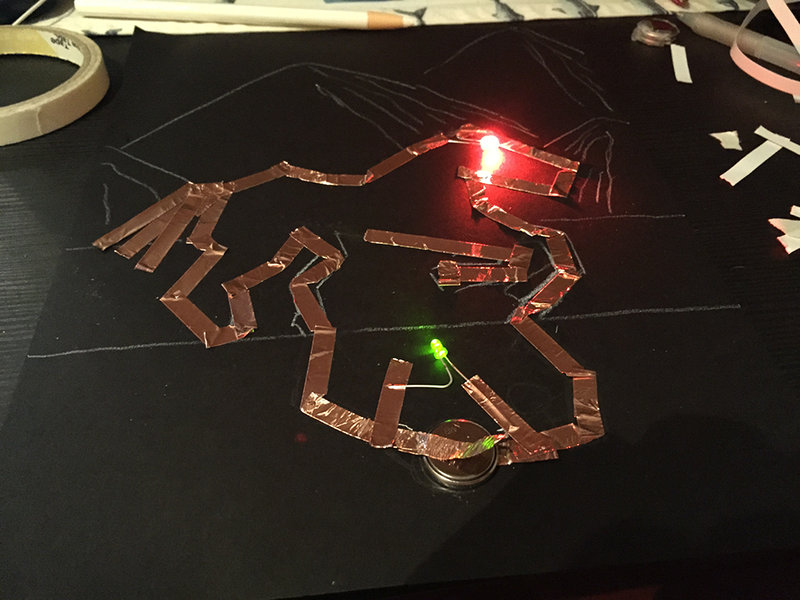 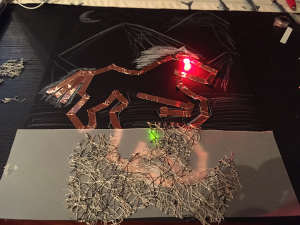 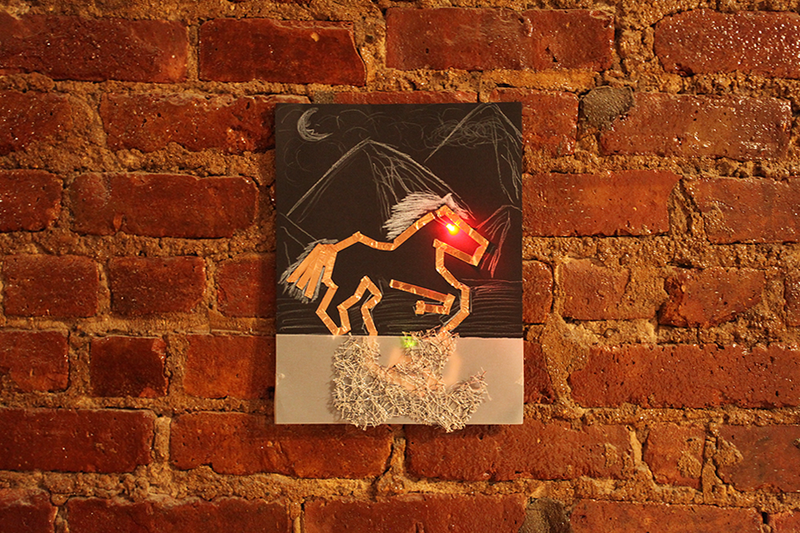 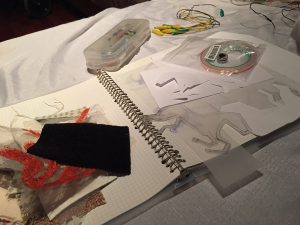 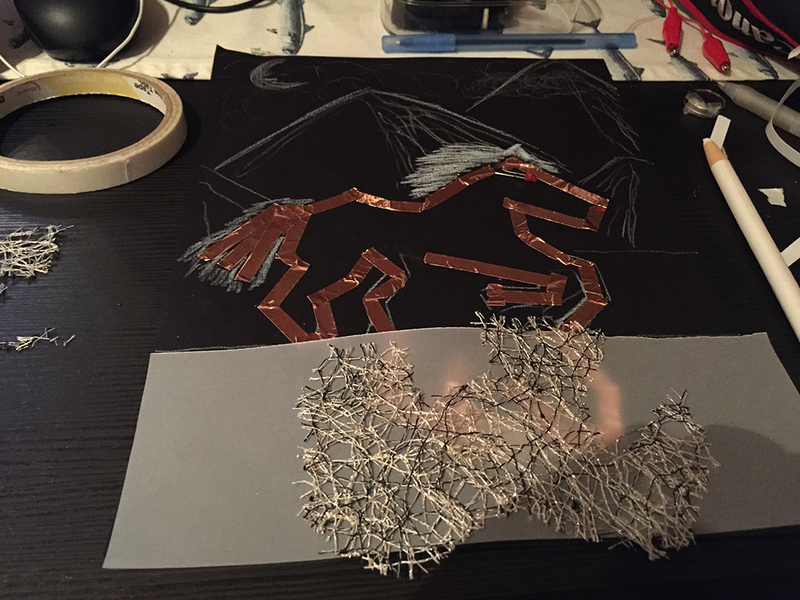 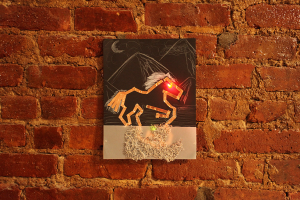 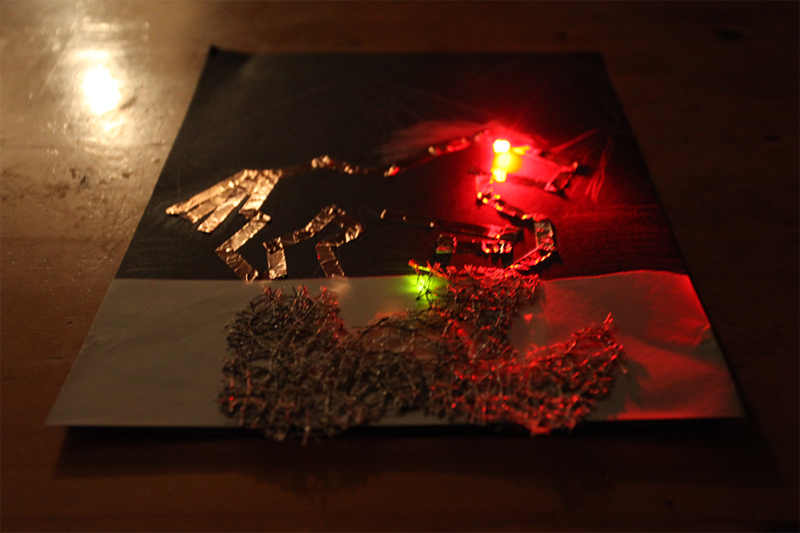 I use conductive tape to light 2 LEDs. 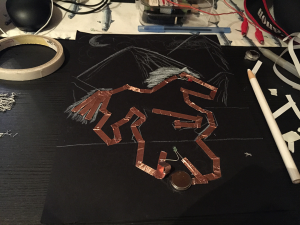 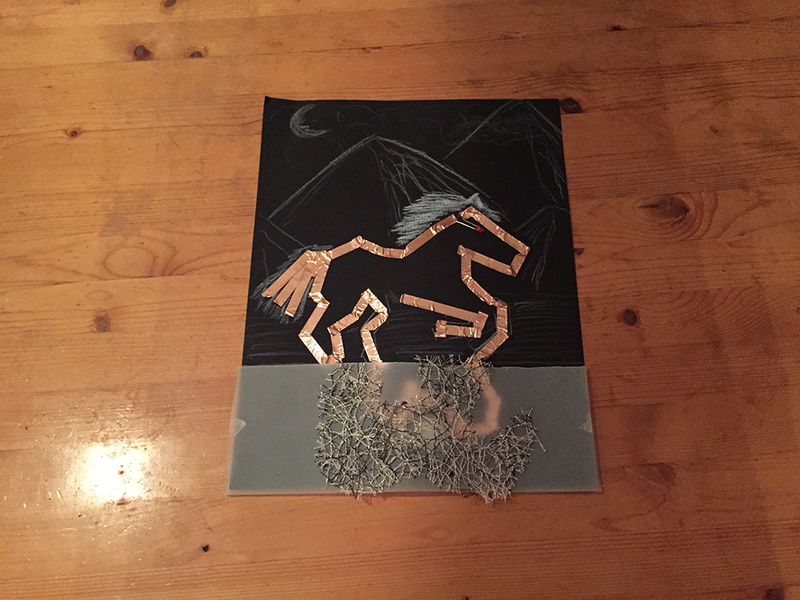 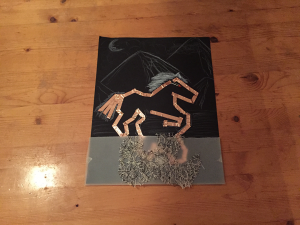 And I try to use the tape to draw a scenery from Mountain Sound, which is a song from Of Monsters and Men. 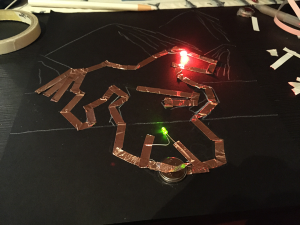 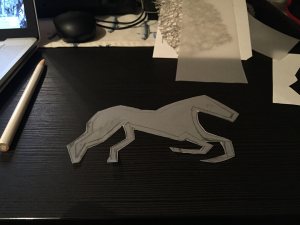 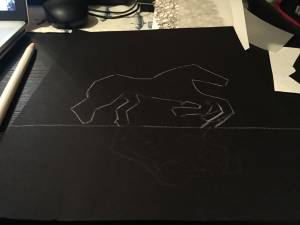 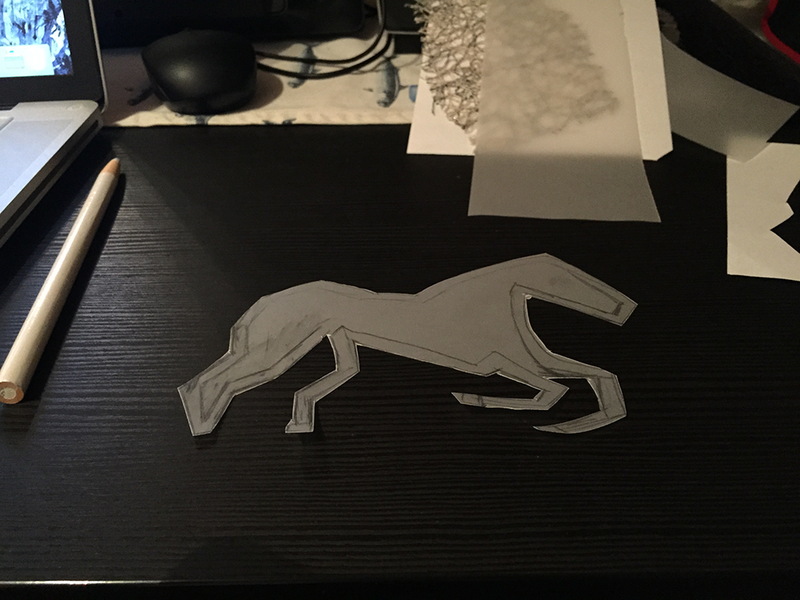 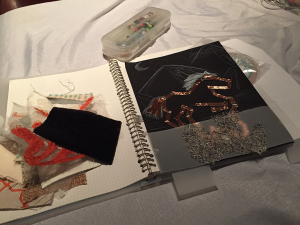 This entry was posted in Week 2: Crafting a Path and tagged assignment on September 13, 2015 by kAi CHENG.